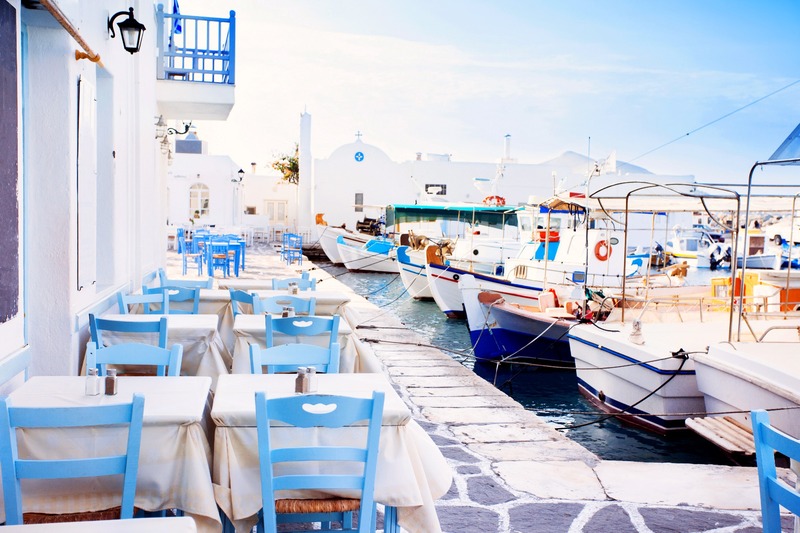 The group’s stars, Mykonos and Santorini, need no introduction but the lesser-known islands, big and small, are just as rewarding. 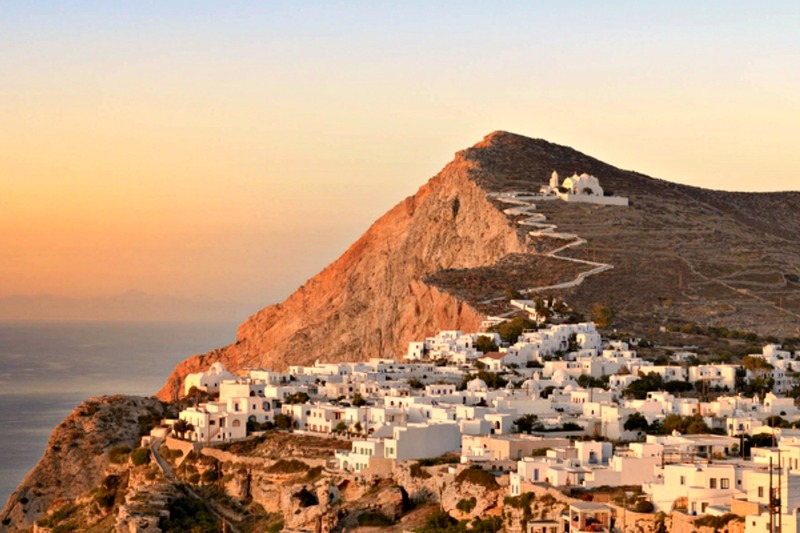 For starters, try aristocratic Syros, cosmopolitan Paros, the sculptors’ Tinos, big, generous Naxos, exotic Milos and historic Delos, not to mention the ‘hidden gems’ that adorn the Aegean: Tzia/Kea, Kythnos, Sifnos, Serifos, Amorgos, Sikinos, Anafi and Folegandros. 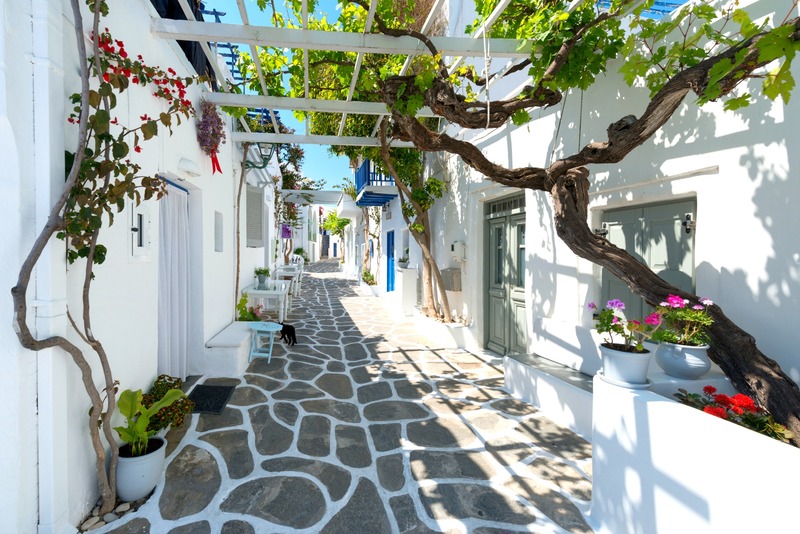 Whether you’re travelling with your family, friends or sweetheart, you’re bound to find your summer paradise in the sun in the Cyclades. 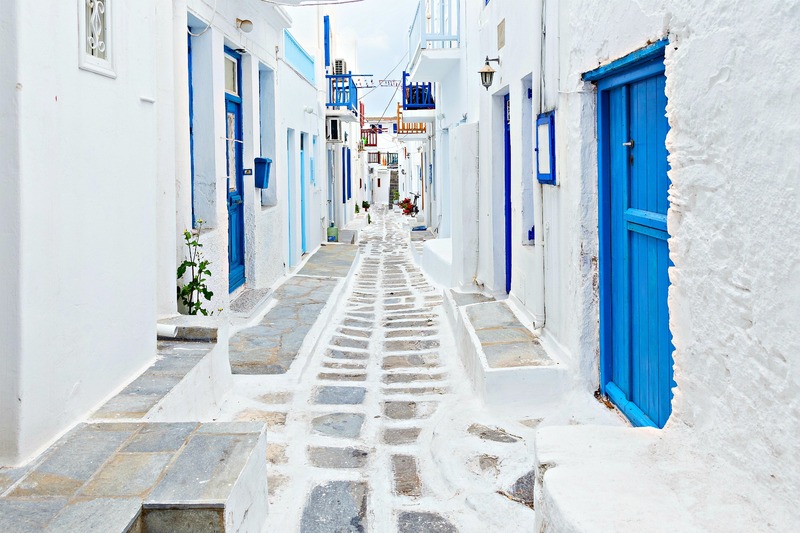 Dazzling white villages, golden beaches and clear azure water are just the start of what these islands have to offer. 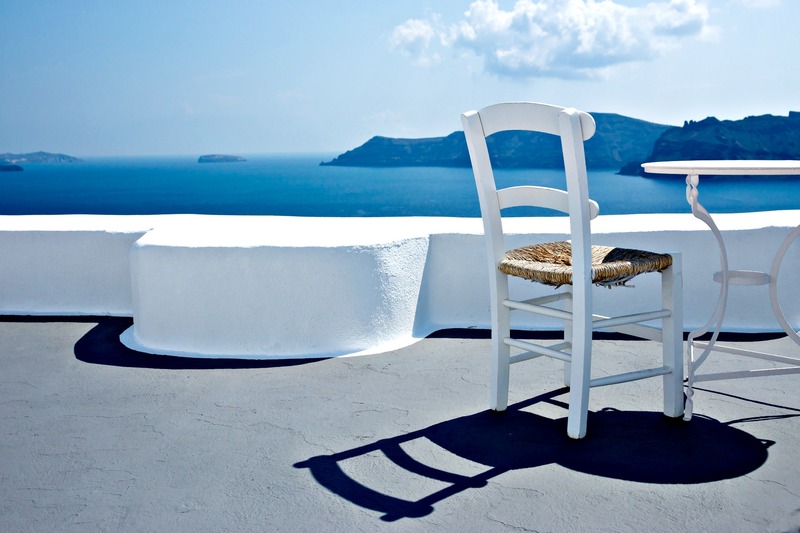 Within easy reach of Athens, these are the Aegean’s most precious gems. 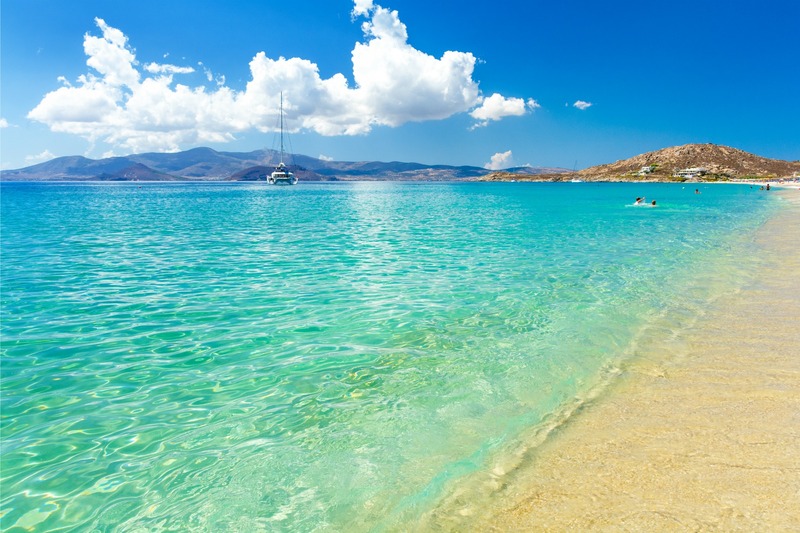 Ancient Greek geographers gave this unique cluster of islands the name Cyclades because they viewed them as forming a hypothetical circle (kyklos) around the sacred island of Delos. According to myth, the islands were the scraps that remained after a battle between giants. In reality, they resulted from gigantic geological events like earthquakes and volcanic eruptions. Their colours are blue and white like the Greek flag. 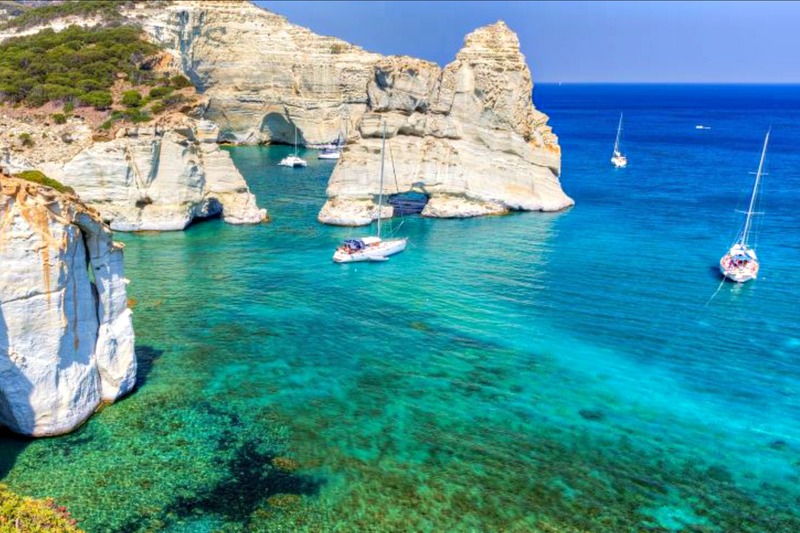 The islands come in all sizes and, though the ingredients are the same – incomparable light, translucent water, heavenly beaches, lustrous white buildings and bare rock, each one has its own distinct character.